JGC Sportsturf is a Gravesend based sports ground contractor, specialising in cricket pitch renovation and construction. The JGC website is built with WordPress and customised Divi theme. 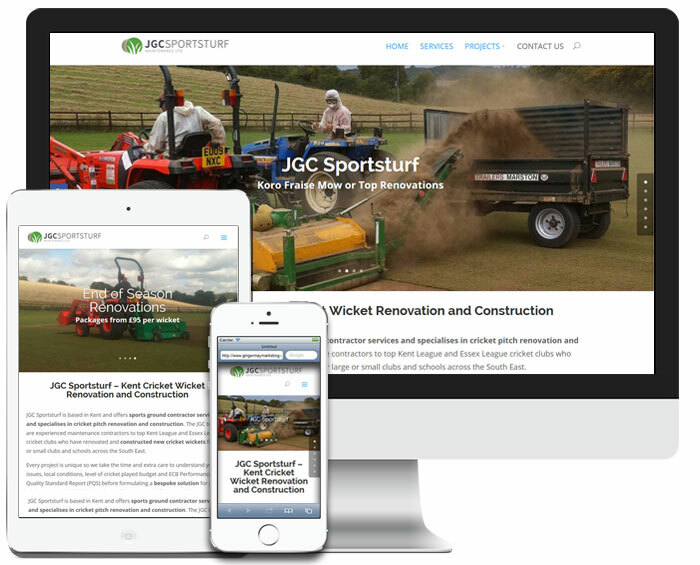 The content, photos and videos were supplied by JGC Sportsturf and the logo by Matt Sutton. Oakes Media will help with ongoing maintenance as well as social media updates to maximise their exposure to cricket clubs in Kent, Sussex and Essex.